International Plating Technology’s return type machines “RTM” are ideal for the customer that has medium to high production needs with minimal expected process variation. The machines are of heavy duty design, are extremely reliable and constructed for years of service with minimal operator or maintenance costs. 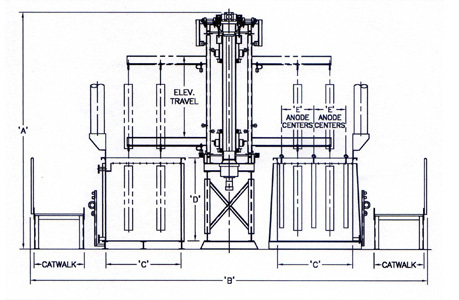 The International Plating Technology return type machine processes racks or baskets sequentially in a circular motion using an elevator/conveyor dwell type system. 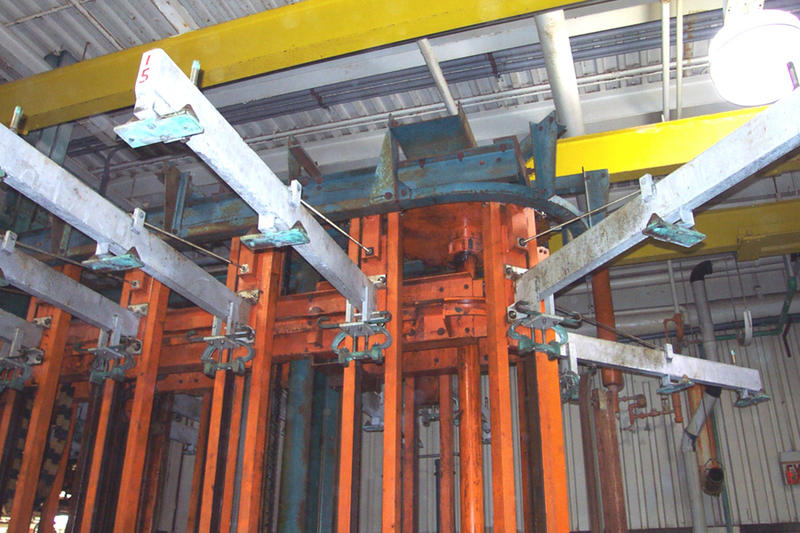 The racks in single or dual file are supported by horizontal carrier arms which will be raised and lowered in the tanks during processing. It is then smoothly and accurately indexed in a horizontal motion to the next station by a predetermined cycle. The carrier arms are supported on a rugged steel framework and guided using cam followers. Carrier arms are drawn by a chain and sprocket assembly gliding smoothly within channels. A hydraulic powerpack provides lifting and horizontal motion. 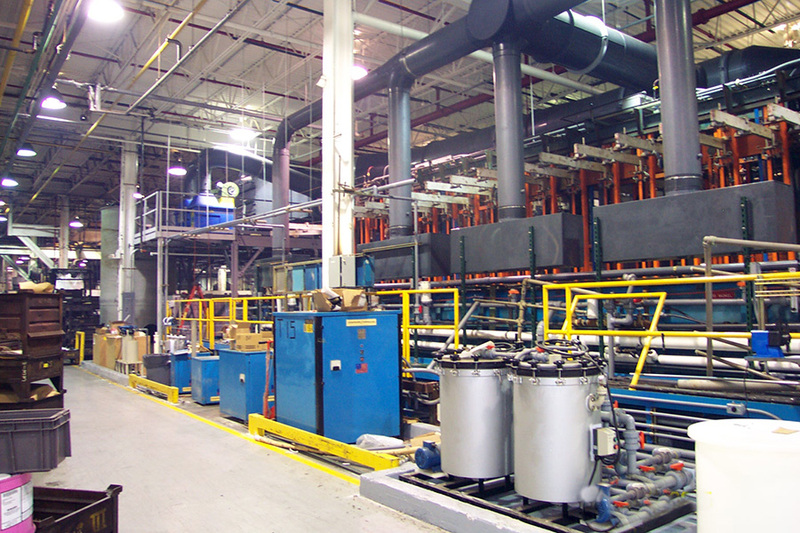 We can provide parts, field repair and revamps for existing RTM’s. Please call and let us know your needs.